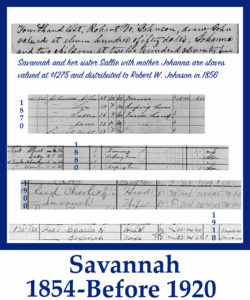 Savannah born 1854 is listed as a child of slave Joanna in 1856. In that same year her mother bore another child named Sallie. Savannah's father was John Johnson. 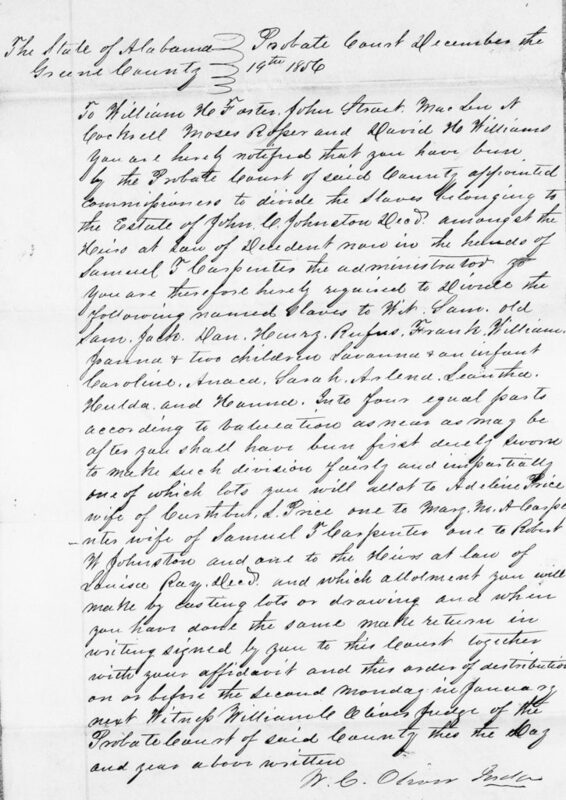 In 1856, the family of John Johnson were divided for distribution after the death of their slave owner John C. Johnson. 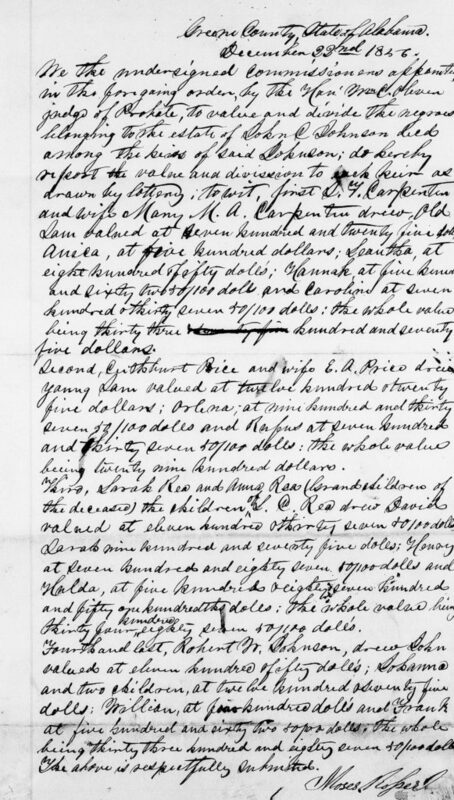 Savannah with her sister and mother were considered one lot and were drawn by Robert W. Johnson, son of the previous slave owner. Savannah Johnson married Charley Reed born in the 1850's. They had no children. In 1880 as a young married couple Savannah and Charley lived next door to her sister Sallie and her husband Albert Reed. Oral history states that brothers married sisters. Savannah appears in the 1910 census. In 1920 Charley is widowed and his 92 year old stepmother is residing with him. Family members say Sallie Johnson Reed's child Rosa lived with them and later inherited the property.